Join us in our Féclaz station, near Annecy and few minutes away from Chambéry. More than 2km of groomed slopes await you ! 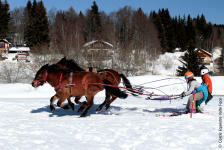 You can be pulled by our beautiful horses in Ski Joëring or simply let you guided in a sleigh ride. The ski harness or ski joëring is a sporting discipline combining the ski with an equestrian team. With no other effort than to guide your horse, you slip into our beautiful landscapes, for 45 minutes to 2H30. 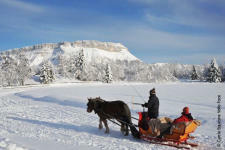 One hour strolls in sleigh are perfect for animal and nature lovers. 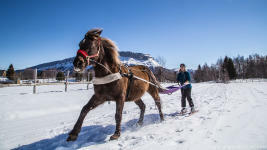 Discover the Ski Joëring discipline in autonomy and be pulled by horses through our snowy landscapes on the southern side of La Féclaz, 45 minutes away from Annecy. 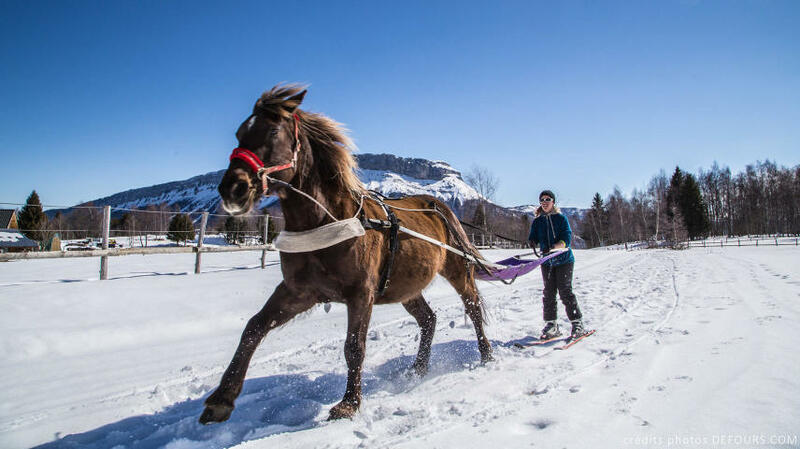 Explore all aspects of the Ski Joëring activity, from preparing horses to driving independently. There are several routes possible to explore the beautiful surroundings of the Feclaz near Aix les Bains. 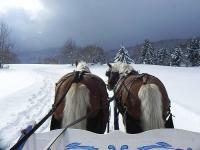 With family or friends, go on a sleigh ride through the beautiful scenery of the resort La Feclaz. Accessible to everyone and located near Chambéry !